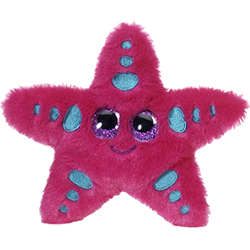 Sandy, this adorable plush starfish from the Fiesta Lubby Cubbies collection, is ready to spark hours of imaginative play and adventure. 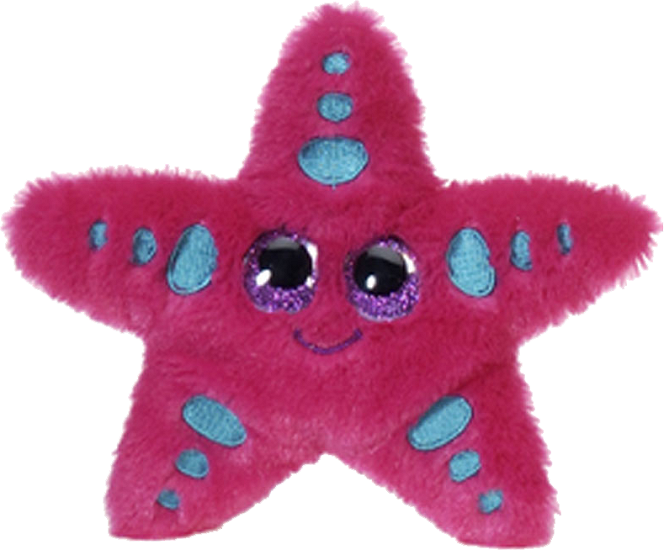 With soft hot pink fur and embroidered jade spots, this starfish stuffed animal has a shiny purple back and a sweet smiling face with big, tear-drop shaped, sparkly purple eyes that will melt your heart. Create an underwater adventure right in your room with this adorable and customizable Starfish fabric wall art. Magic is an adorable plush narwhal with soft light blue fur, beautiful golden horn, and sparkly turquoise eyes. Snappy is an adorable plush crab with soft red and orange fur, shiny yellow tummy, and sparkly yellow eyes.